It all started with an idea of taking flight. The size of the garden meant that there was enough room to have a seriously long zip wire. About 27 metres in length and from that central idea, the rest of the build evolved. 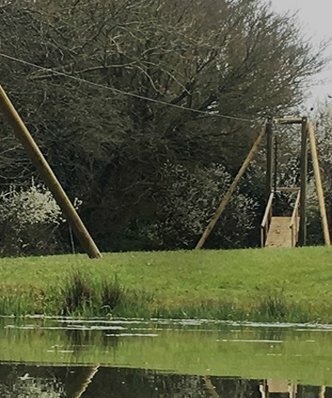 But then our customer wanted a versatile wood platforms zip wire combination. 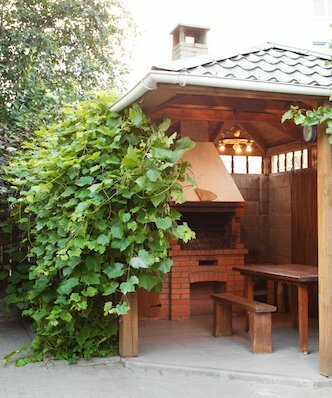 Well, with a garden like this, wouldn’t you too? For such a zip wire, it necessitated a high start, so we solved this using a solid launch platform. This provides the biggest thrill to the ride and gives that all important ‘wheee’ factor! And with a challenging scramble ladder to climb up, at 2.1 meters in the air, there’s a real sense of satisfaction on completing the ascent with amazing views of the countryside around as the reward. Once you’ve built a platform, why stop there? There’s more fun to come. 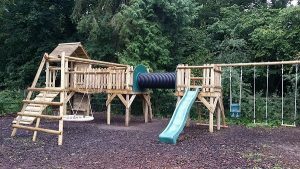 We attached a tower, vertical ladder, open platform, wavy slide and rope bridge to create more fun than you can shake a button at. 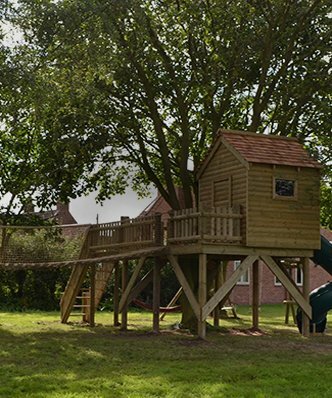 It has a large variety of swings and monkey bars to choose from leaving something for everyone to play with. 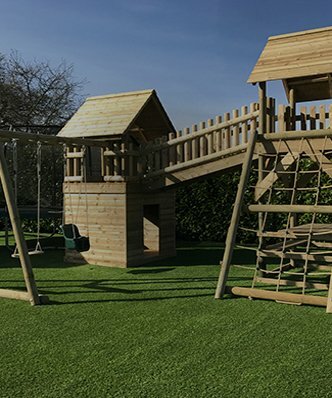 And with the added double bridge platform, it creates a fantastic circle of fun especially when it comes to crawling through a tunnel 1.5 meters in the air! The main challenge for your kids will be what to do first, and how to get to the zip wire before anyone else. The adventurous will climb down the ramp, spin out of the tower and just … hey, who got there first? Dad again! Hope he brings it back this time. However, with all the other things you can do, it’s not a problem, enjoy the ride. Time and time again. Six weeks to order. One week to install.